We design bespoke eNewletter / Online Marketing Systems, allowing customers to send out seasonal branded newsletters to registered customers on the database with an Opt-Out option to de-register. These newsletters can offer the latest deals or make customers aware of issues to keep them informed. 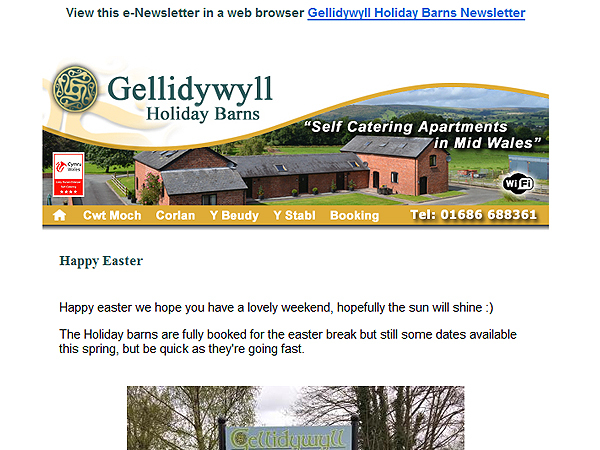 With links in the newsletters that drive people to your website these are great for getting your message out to your customers, and with a register for a newsletter page on your website they can opt in any time day or night..
We have built an e-newsletter broadcasting system for Gellidywyll Holiday Barns in Llandinam, Mid Wales. Mid Wales Trading developed on online Marketing System for E and M Motor Factors sending out monthly eNewsletters of the months Supersavers. 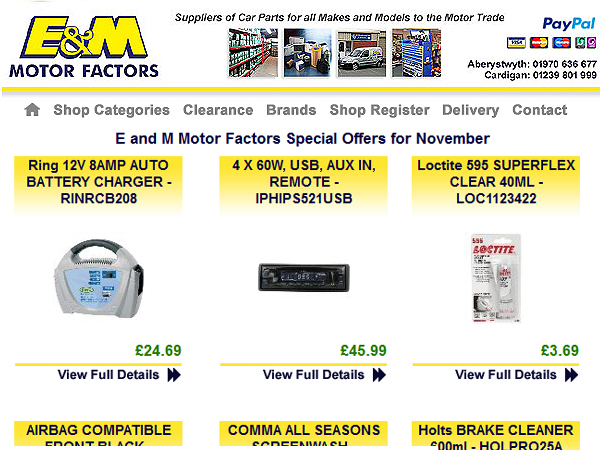 The E and M Enewsletters cover special offers available to the Automotive Industry in-Store at Cardigan and Aberystwyth, West Wales and online through the eShop.